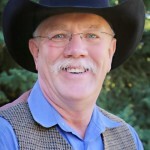 Jack Nickels, Realtor and consultant has offered traditional real estate services throughout Montana for over 10 years. He is experienced in and can provide his clients with a professional level of service, whether they are buying or selling, farm, ranch or recreational properties as well a commercial or residential properties. He also offers services in commercial leasing as well as collector & estate assets. Through his consulting services, he provides services in project development, government relations, organizational services and conflict resolution. Along with his over 10 years of real estate knowledge, Jack is a 3rd generational Montanan, raised along the Missouri River in very rural Northeastern Montana. He attended Nashua High School and after graduating went on to build a career on his family’s ranch. Over the years, the ranch won several awards for soil conservation and range management. Jack and his family were honored in 1990 when Nickels Ranch was selected by the Montana Hereford Association to receive the very first “Commercial Hereford Breeders Award” given by the Association. Which shows the commitment Jack and his family has had to a quality ranching and breeding program over the years. Jack applies that knowledge and work ethics to the real estate industry in helping his clients to buy or sell property whether it be commercial, farm/ranch, recreational, or residential. 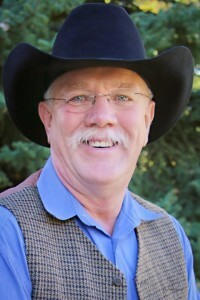 In addition to his professional endeavors, Jack is very community minded, having served as a Governor appointee to the Montana Governors Energy Advisory Commission, & Montana Arts Council and is currently serving as a governor appointee to the Montana Economic Development Advisory Council. He has also served on a number of local, state, regional and national board. Jack is a member of the Montana Realtor’s Association, Billings Association of Realtors, & National Association of Realtors. To say that Jack has a passion for his state would be an understatement. For him, all of Montana is his backyard and he loves exploring it and share its rich history and landscape with others. He enjoys photography, hiking, cooking and seeking out new experiences in Montana to share.